We’re back in Milford Sound to deploy four satellite trackers on tawaki that have just completed their moult. Conditions in the fjord were terrible. No rain. Balmy climate. Dolphins riding the bow wave of the Pride taking us to the Discovery Centre. Just terrible. Together with the Andrea from Southern Discoveries, we were dropped off in Harrisons Cove just after lunch. And not long after we had hopped out of the DC tender we spotted a tawaki in the first stages of moulting stumbling out of the bush to get a drink out on the beach. The poor thing looked positively bedraggled and we waited until it had returned into the cool shade of the forest. Most of the penguins we encountered, however, were almost through with their moult sporting beautiful blueish-black plumage just waiting for their tail feathers to grow. And some of them were wearing the small GLS loggers we attached to their legs last November. We actually managed to get two of these GLS birds and read out the data the loggers had recorded so far. These will allow us to determine where the birds have spent the past few weeks while away from the fjord. However, first we had to get them out of their moulting abodes which usually involves squeezing into tiny holes under rocks. And more often than not all this effort was for nothing and we were left with staring at piles of shed feathers rather than penguins that wanted to volunteer carrying our expensive satellite trackers through their winter migration. 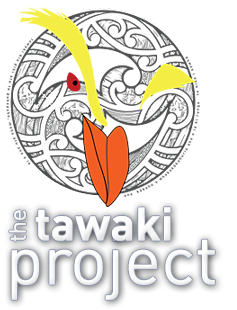 Eventually, four tawaki were fitted with trackers that will broadcasted the penguins’ positions in near realtime via a satellite feed over the coming months. The devices will be recovered in July or August. After a pleasant, I mean truly awful, day in the Harrison Cove bush it we returned to the mainland in the late afternoon. Our work here is done for the next few months. « Where do moulting tawaki belong?